Welcome to my website! 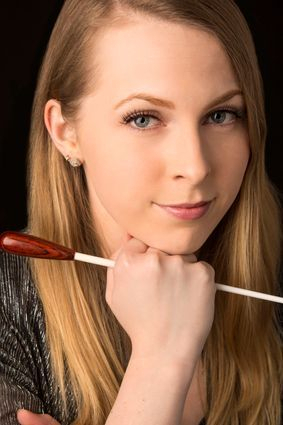 My name is Alison Geesey, and I am a 2014 graduate of the Pennsylvania State University, where I earned a Bachelor's Degree of Music Education and a Master of Arts Degree in Music Theory from the School of Music. I am currently pursuing a master's degree in choral conducting at Michigan State University. Before beginning my graduate work, I taught for three years at Mount Nittany Middle School in State College, PA, working with students in 8th grade general music and choirs. "Miss Geesey became a part of our choir; it was like she was one of us. So aside from the fact that she was a great conductor, she was approachable and went out of her way to get to know everyone. I will really miss her."